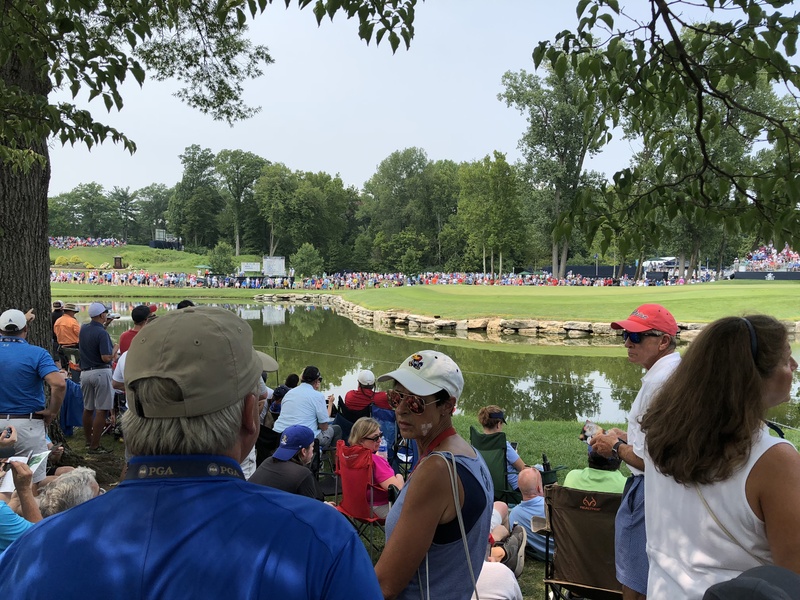 Mark Andy and the city of St. Louis witnessed history when the 100th PGA Championship was hosted at Bellerive Country Club. 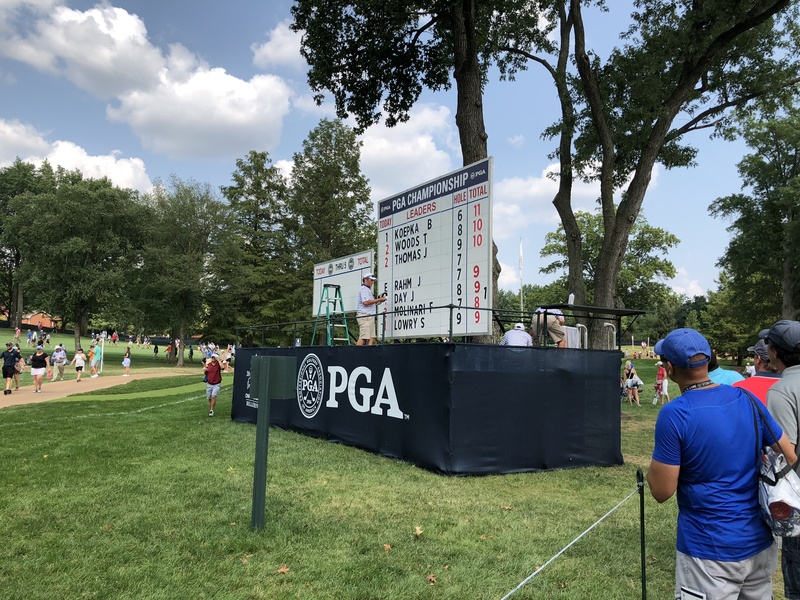 Since the PGA Championship hasn’t happened in St. Louis since 1992, Mark Andy decided we couldn’t pass up the opportunity to experience the event in our hometown. 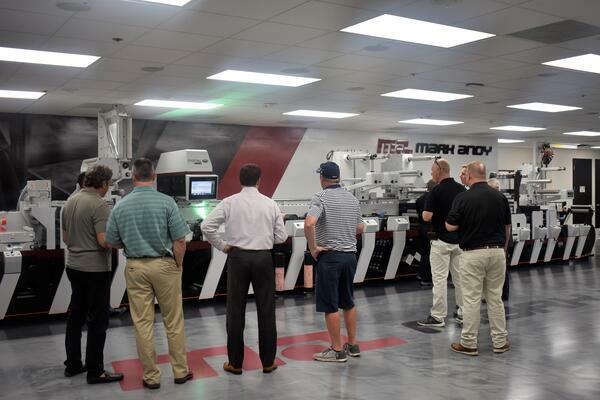 The company hosted converters, industry thought leaders and media representatives attending the golf tournament at our headquarters for live equipment demonstrations prior to a day at the PGA. Before attending the PGA Championship, attendees were treated to multiple product demonstrations in our new demo center. 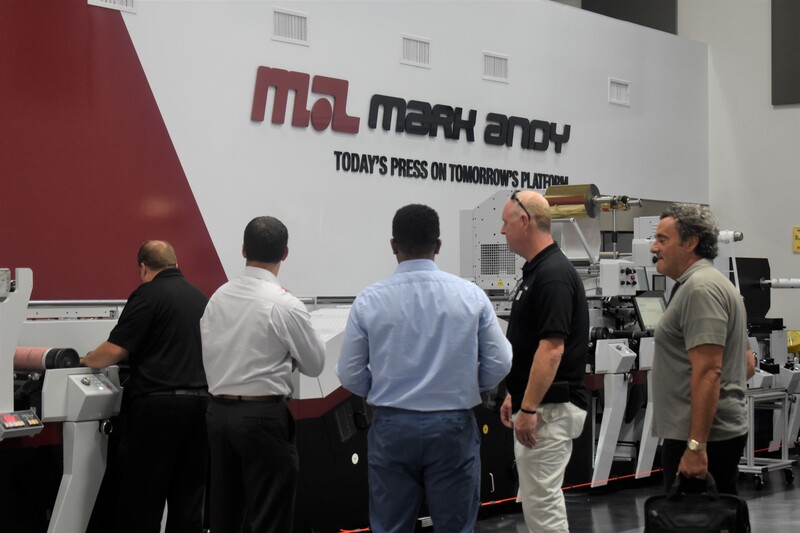 The most innovative equipment in the Mark Andy portfolio was in action and advanced applications were printed on demand. 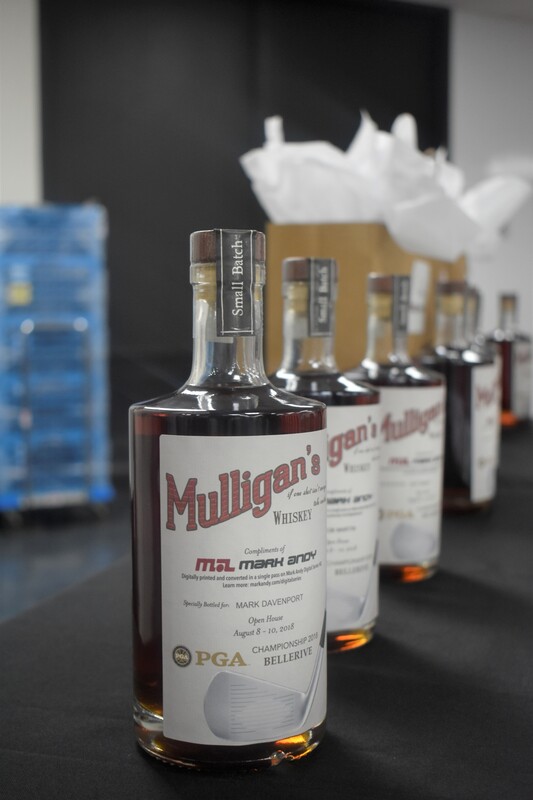 As a thank-you for stopping by, guests received label samples on life-size products, such as a personalized whiskey bottle featuring a golf-themed design created by our skilled pre-press team with their names in Variable Data Printing (VDP). This specific application was produced with Digital Series HD, which boasts the ability to digitally print on estate stocks at 240 fpm utilizing all colors. Of the demonstrated technology, Digital Series HD, Digital One and Performance Series P7E with Digital Plus Screen were highlights. 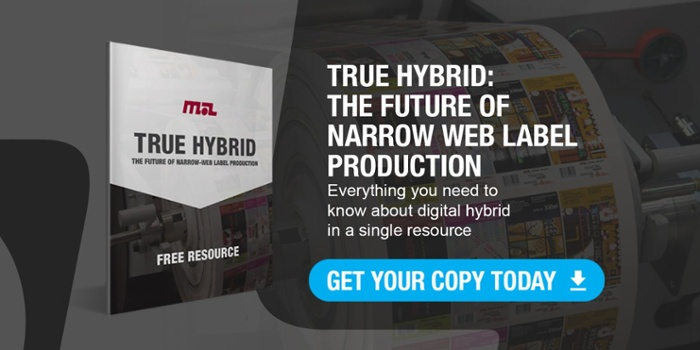 Digital Series HD has the productivity all converters are looking for, while offering flexibility in job changes, reliability on a day-to-day basis and simplicity for press operators of all different experience levels. 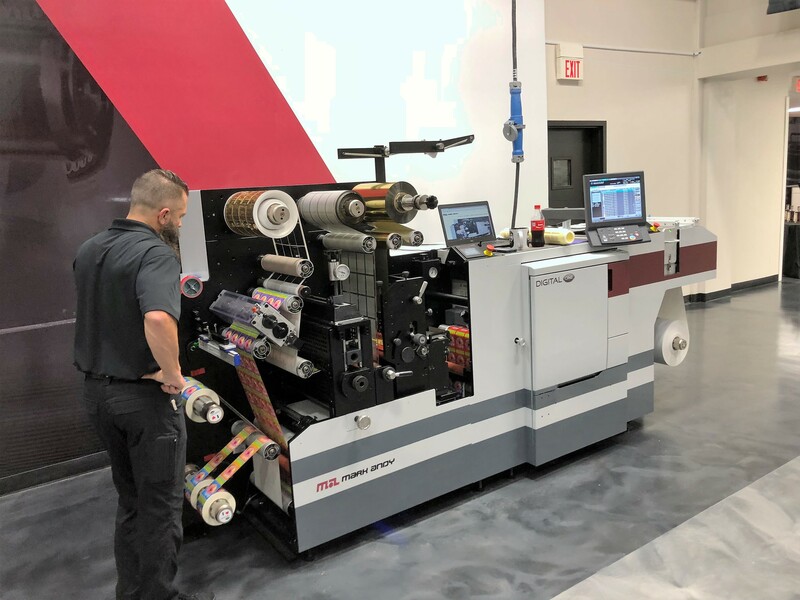 Digital One showcased the ability to profit from short-run jobs, as well as its ability to offer converters an optimal balance of digital and flexo technology. 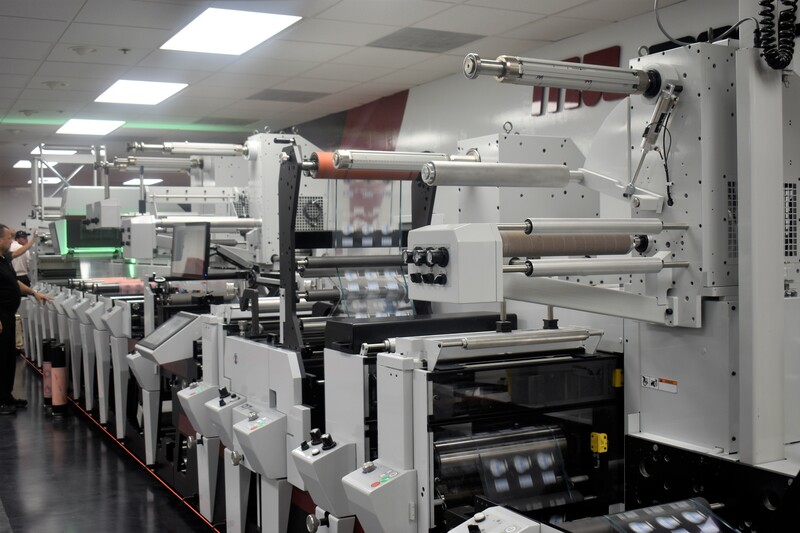 Lastly, the Performance Series P7E was fitted with the modular Digital Plus Screen, demonstrating how simple it is to changeover work from job to job, as well as the benefits of hybrid technology on top of reliable flexo technology. 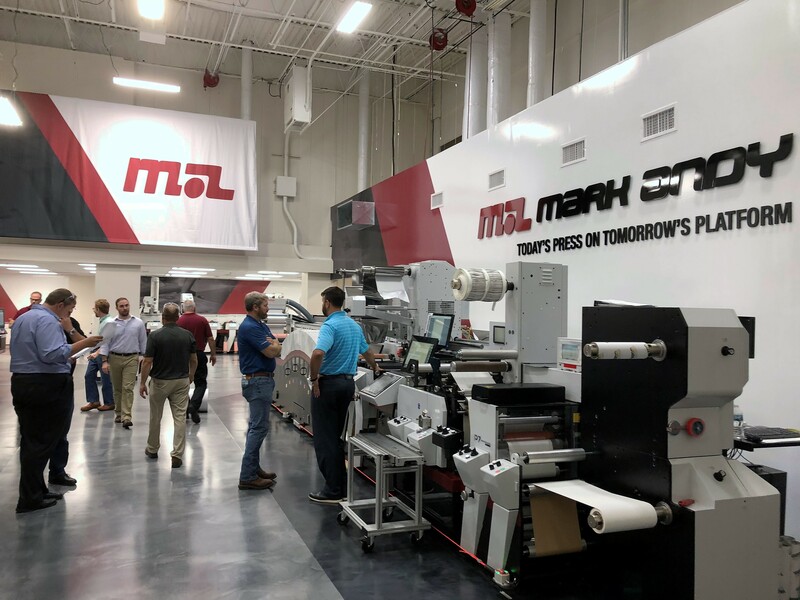 Afterwards, customers were able to meet with their sales representative to ask questions, review our fresh-off-the-press applications and educate themselves on which piece of equipment would be most profitable for their business model. After an educational night of demos and sample review, customers were taken to a day of the PGA Championship. 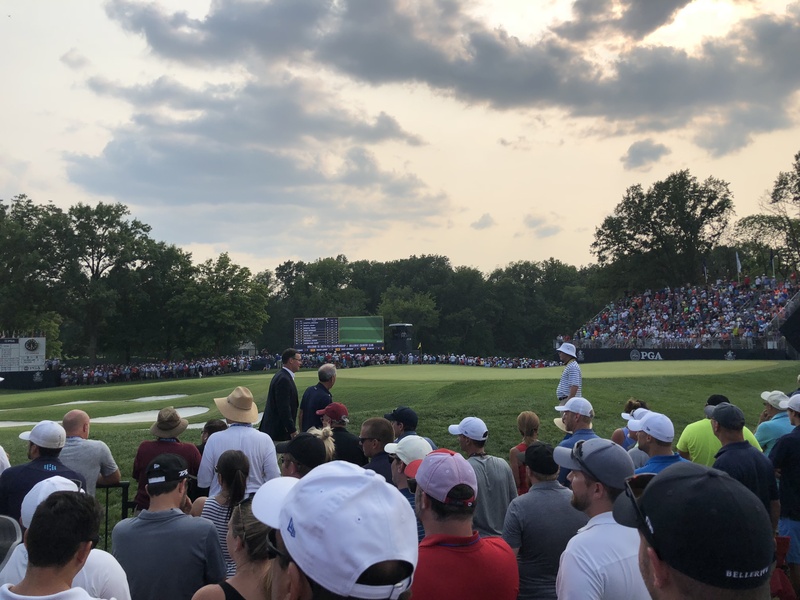 Attendees and Mark Andy team members saw all the highlights of the championship and were eventually able to witness Brooks Koepka take home the win. 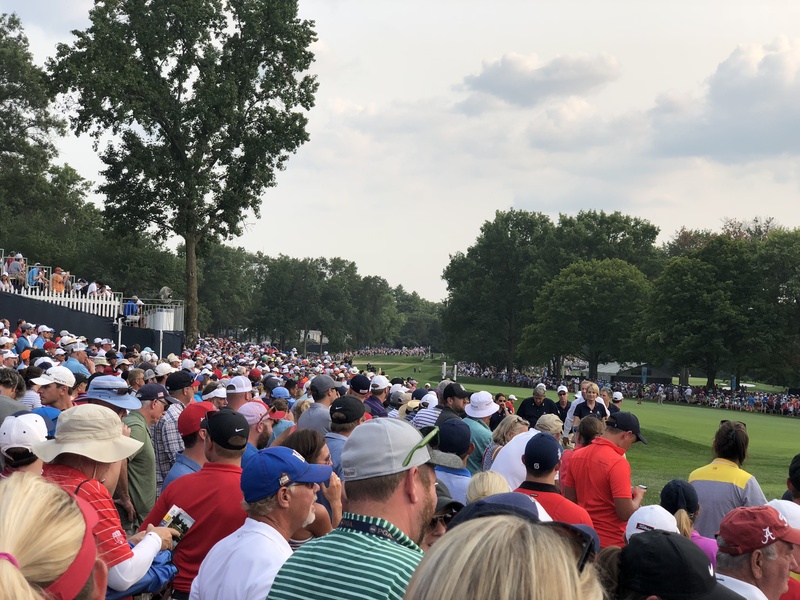 The long weekend allowed for multiple companies to witness the technology we have to offer, as well as enjoy a day on the golf course and connect with the Mark Andy team. As a Total Solutions Partner, we are dedicated to customer service, and that starts before a customer even invests in equipment or supplies. We look forward to moving forward with the relationships that were made last weekend and helping converters maximize their return on capital investments in the future. Natalie Gibson was Mark Andy’s 2018 Content Marketing Intern. She attends the University of Kansas and studies Strategic Communications and Business with an emphasis in Marketing. Natalie has a passion for social media and writing and enjoyed learning new skills during her summer at Mark Andy.